Heshy Fried, founder of FrumSatire, posted a piece/review of the Boulder Jewish community. 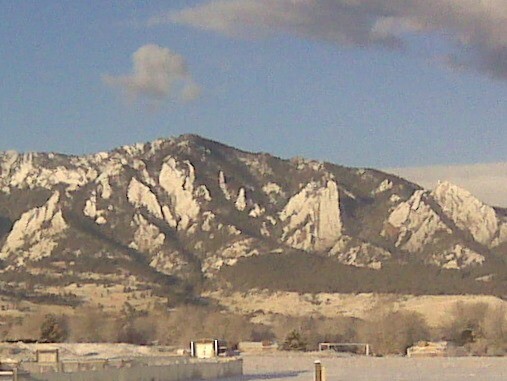 Unlike many similar sized communities, Boulder is not rife with communal politics. Everyone gets along, shares in simchas, attends each other’s shuls and all the rabbis of the city meet regularly to talk about stuff. Boulder is also the birthplace of Renewal Judaism – which is probably heresy, but people in Boulder absolutely love Rav Zalman Shechter who sometimes pops his head into Aish Kodesh the other non-chabad affiliated shul. So how many frum people are there in Boulder? I would say, maybe 10 families, but that number is incomplete. I am sure that there are many Jews who are flexidox or knowledgeable but not practicing and everything else under the sun. Readers – what’s your response? Please comment below and if the mood strikes you – go for it and write a full post (email editor@boulderjewishnews.org if you want to get started! ).